Hello, everybody! For all of my American readers, I hope you're having a wonderful July 4th! Today, I have a quick nail art design that I made in honor of America's Birthday, utilizing Essence Style for Summer Nights, Zoya Song, and Zoya Rekha. It was actually surprisingly easy and reminds me of a circurs for a reason I can't put my finger on! Anyway, I hope that you enjoy your afternoon and evening! I might do a second nail look for fireworks tonight that you'll see tomorrow. Hope you like the nail art! that essence polish is sooooo pretty! Cute! 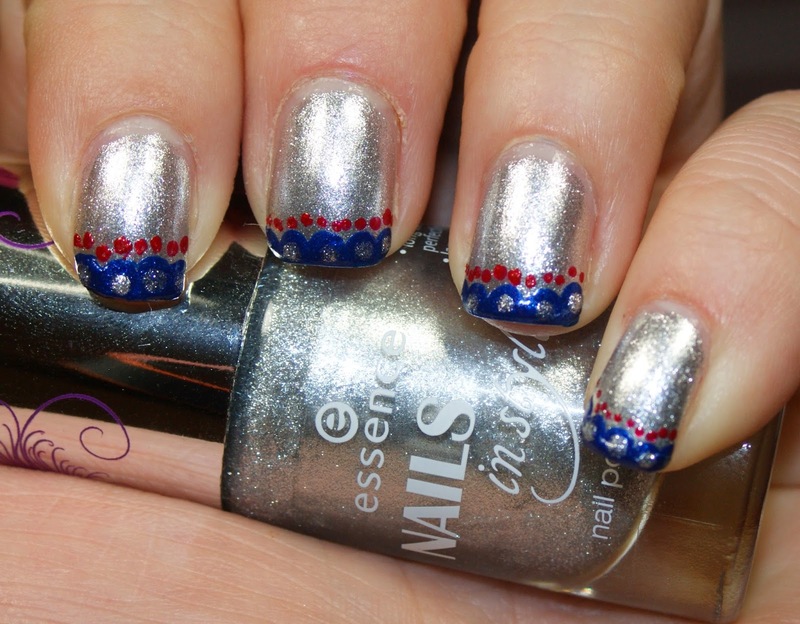 I really like the idea of using silver for a July 4th mani instead of just white.